When you're a restaurant that's been hosting an annual lobster celebration for 15 years, you're pretty serious about how you serve your clawed crustaceans. 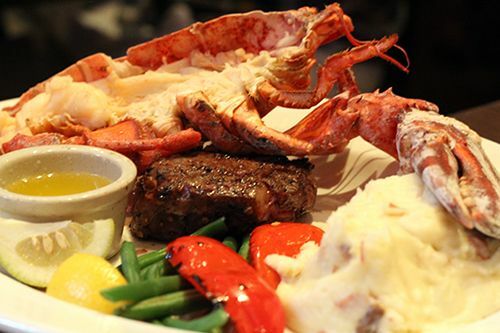 2015 marks the 15th year that The Keg Steakhouse + Bar has featured lobster on their menu during the summer months. 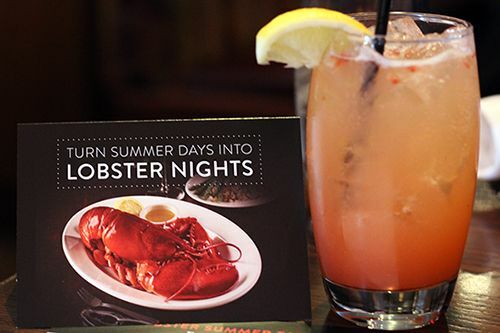 Having lived in Edmonton all my life, I'm pretty sure this is the first year I've heard about the lobster summer menu at the Keg. Better to be late to the party than to not show up, right? From July 6th to August 30th the lobster menu is featured at all locations of The Keg across Canada. Fresh North Atlantic lobsters are flown in twice a week to all Keg locations, ensuring that all dishes are made with the freshest seafood possible. Why spend the money flying to Atlantic Canada for lobster when they'll fly here to you? Two weeks ago I had the opportunity to stop by The Keg for a preview of some of the lobster dishes available this year. 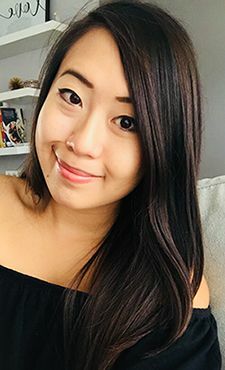 Often times I find it can be intimidating for people to go out for lobster, or seafood in general, because of the high price tag associated with high-quality seafood. This year The Keg is trying to make lobster available and affordable at different price points so that everyone can enjoy it. Based on the price points on the lobster summer menu, I would say The Keg has definitely accomplished this goal. While classic lobster dishes appear on the menu, The Keg has introduced four new dishes this year. One of them is the Szechwan Lobster ($15) that you can order to kick off your meal. 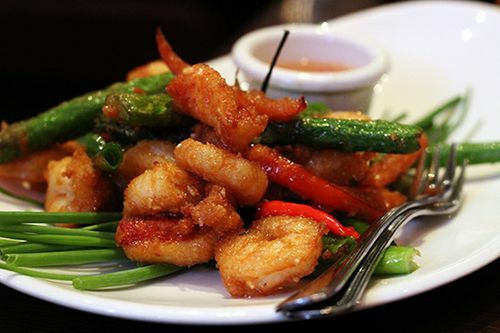 Golden fried lobster and shrimp are tossed in a sweet and spicy sauce with red peppers, asparagus, and red Thai chillies. Although it is a Szechuan-inspired dish, the heat in this dish is only apparent if you choose to take a bite into the fresh chillies. The chunks of lobster were sweet and presented in a fair size and proportion, so you get pretty good value out of this dish. The lobster summer menu also features three casual plates, which are ideal for sharing with friends on the patio or as lighter dinner mains. I definitely appreciate the smaller plates as I tend to go for lighter meals in the summer heat. 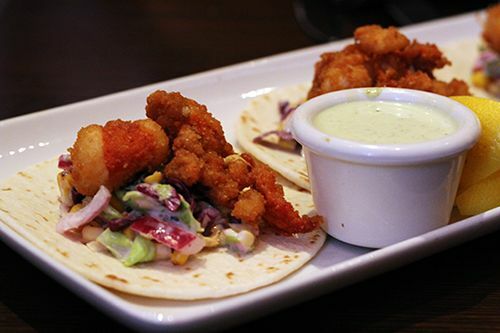 The Crispy Lobster Tacos ($16 for 3) feature lobster that has been coated in a crispy rice batter and golden fried, served with cabbage slaw and cilantro on a warm tortilla with jalapeno maple aioli on the side. Despite being fried, the lobster maintains it's natural sweetness and goes really well with the fresh slaw. The aioli gives an extra dimension of flavour and a creamy texture to bring it all together. Another casual plate on the menu is the Lobster Roll ($19), an East Coast classic. 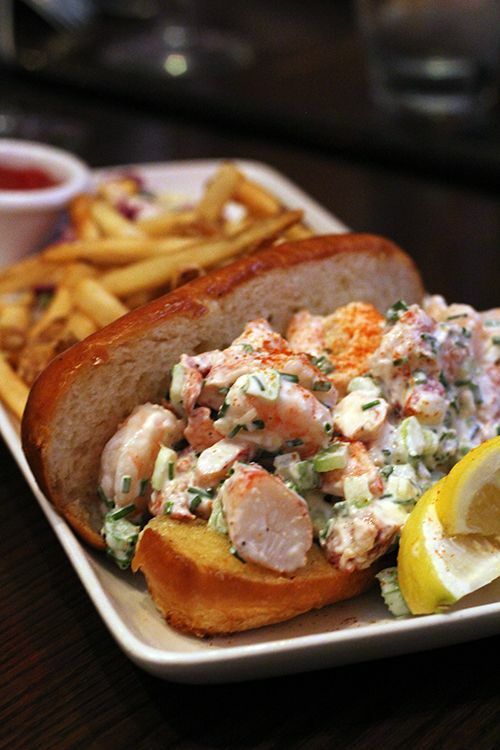 A creamy mixture of chives, celery, lobster chunks, and shrimp are served in a butter brushed brioche roll and plated with crispy Keg fries and a cabbage slaw. The soft bun is bursting at the seams with filling, and I particularly enjoyed the added crunch and flavour from the fresh celery. When it comes to entrees during lobster fest, the classic surf and turf combination is a no-brainer. Tender sirloin steak in 6 oz. or 8 oz. portions ($45/$47 respectively) cooked to your preference is served alongside a fresh half lobster with butter, lemon, and your choice of a side. I prefer my steaks between rare and medium rare, and the kitchen had no problem executing my request. 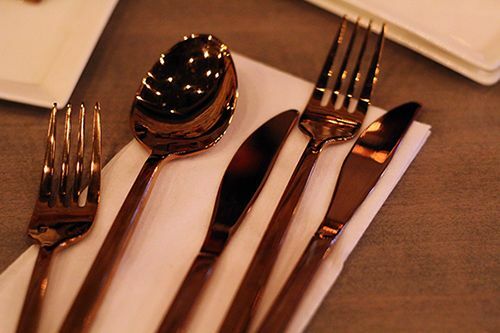 When each guest's plate arrived to the table, we all had one thought: wow. The half lobster dominated the plate and the portion was almost intimidating, but this could easily be split between two people to make it more manageable. The steak was tender and juicy as expected, and the lobster was delicious simply cooked and dipped in the hot butter. Now if you're really looking to indulge while the lobster summer menu is out you'll want to get the 1 pound Lobster Tail ($40), which is new to the menu this year. There was a collective gasp when the tails arrived to the table due to their sheer size. The lobster tails were so big that I didn't even know where to begin! Again, the lobster tail was simply cooked, but the natural sweetness combined with melted butter was quite indulgent. The Keg recommends adding the tail to an entree for sharing between two people, so you can create your own surf and turf meal. With just over one month left to enjoy the lobster summer menu, you'll want to get to The Keg soon if you're a lobster fan. 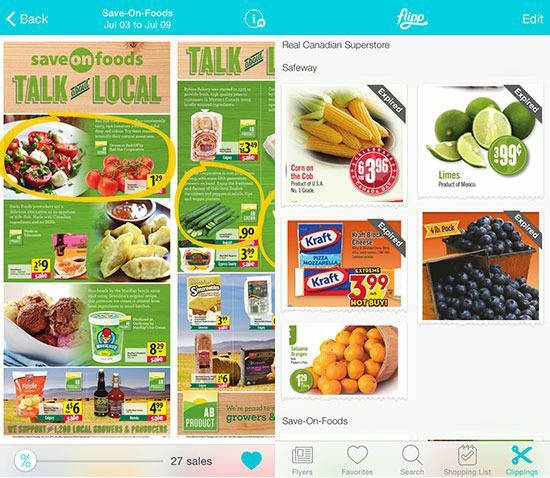 The range in price points makes lobster affordable for every budget, and the prices are quite reasonable for what you get. 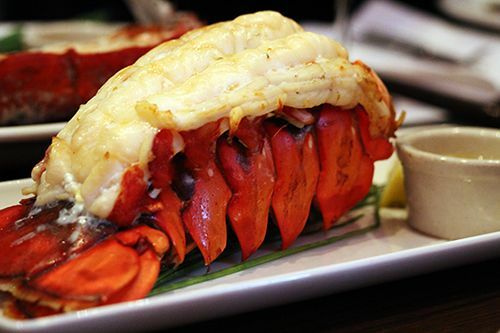 The live Atlantic lobsters are fresh and you can really taste the quality in every bite. 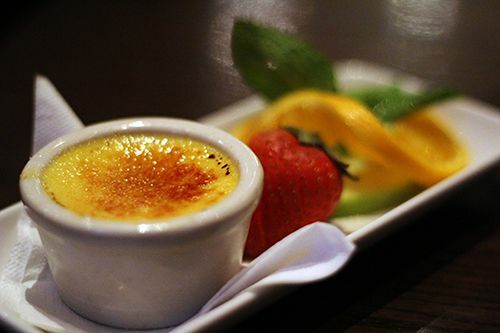 Grab a group of friends and indulge - after all, it only happens once a year! 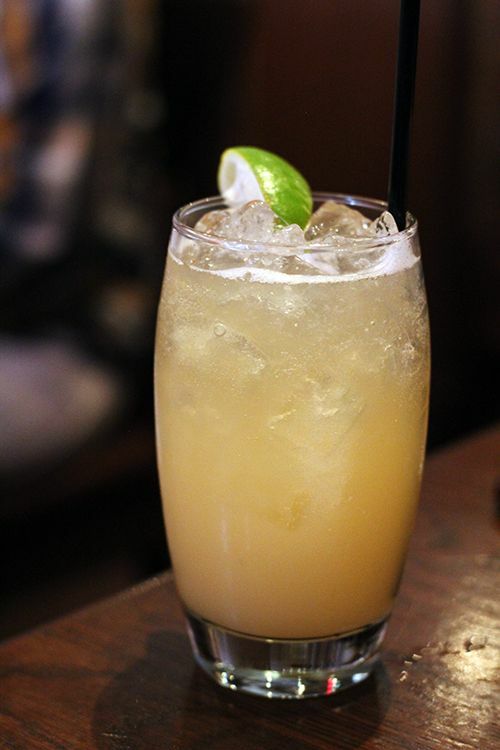 *Disclosure: The Keg Steakhouse + Bar invited me to attend their media tasting. Views expressed in this post are solely mine. I was not expected to feature this restaurant on my blog, nor obligated to do so. This post is 100% my opinion, and as always, my priority is to you, the reader, to present an unbiased, thorough review. If I could get away with eating charcuterie and cheese for every meal, I probably would. 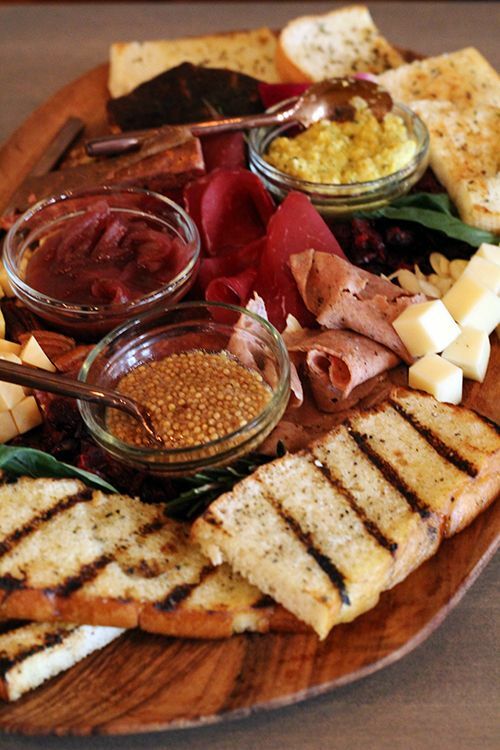 There's so much variety in the world of cured meats and cheeses, and pairings with wine makes things more fun. And now there's a spot in south Edmonton where you can indulge in these three very things! I first came across Cured Wine Bar at the 2014 Rocky Mountain Wine & Food Festival. At the time there were very few (if any) restaurants in the city making charcuterie in house, so I was pretty impressed to hear that this restaurant was up to the task of dedicating time to produce quality cured meats. After months in the making, Cured finally opened to the public as of July 14. Located in Ellerslie, it seems like the suburbs are the new popular place for restaurants to open. I'm not one to complain though, as I love having locally owned dining options close to home. My boyfriend and I stopped by one night to check out the space, and the environment was great for us to wind down and relax after a long day at work. 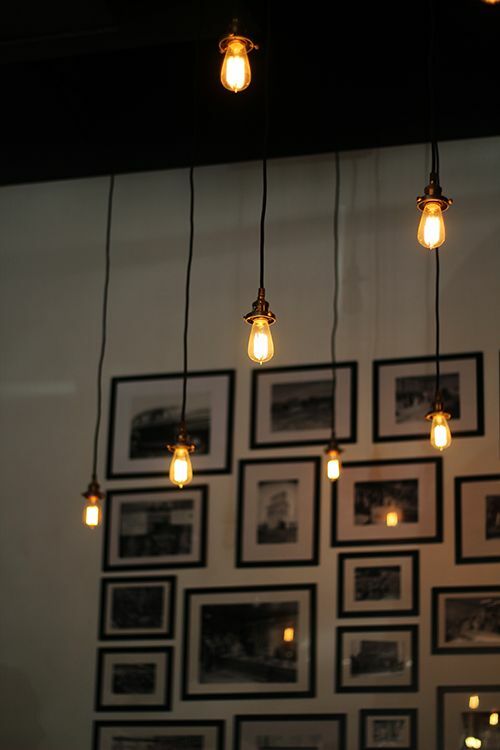 The wooden accents and brick contrast against Edison light bulbs and tufted seating, giving the restaurant a rustic, country chic vibe - I love it. 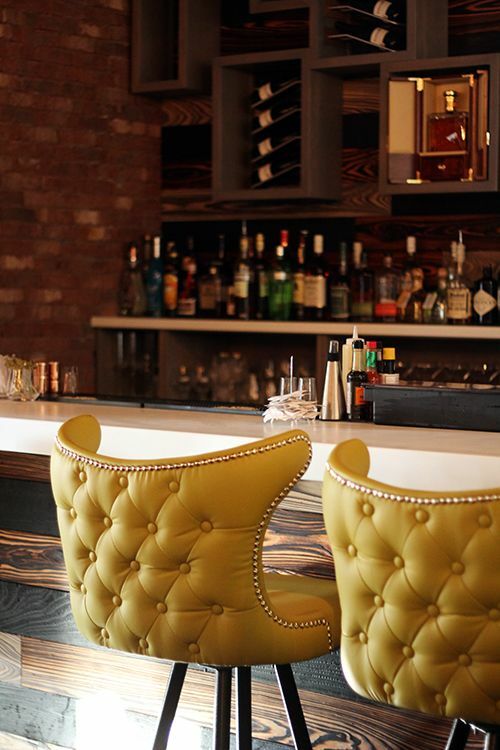 The wine and liquor display up at the bar is extensive, with an Enomatic as the centrepiece on the wall. The Enomatic serves some wines exclusive to Cured, including those from Blue Mountain. According to the owner, Field Pieterse, Cured is the only restaurant in Alberta to carry bottles from Blue Mountain Winery, and they drive to the Oakanagan to purchase their bottles. It's the perfect excuse for a mini getaway if you ask me! Jokes aside, the wine list is about 60% Canadian, and there's some great cocktails, beer, and scotch available too. Given the restaurant name and the meats and sausages hanging on display, it's no surprise that a large proportion of the menu at Cured is dedicated to customizing your own charcuterie board. All of the cured meats are made in house with exception to the prosciutto, which will be ready next year. 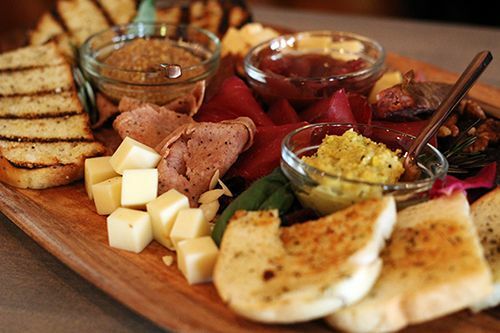 Two boards - small and large - are available at $29 and $43, respectively, where you can choose five different meats. The smaller board is meant for 2 to share, providing 50g of each meat selected, while the large board for bigger groups is presented with 80g per meat selection. If you can't make up your mind, there is the option of having the chefs prepare a board for you, or you can order the "Pig Out" where every meat is presented on the board at a price of $100. For our charcuterie board we ordered the chipotle jerky, maple duck mortadella, air dried beef tenderloin, elk sausage, and venison salami. We also added in some smoked gouda and cave aged gruyere ($5/1oz. 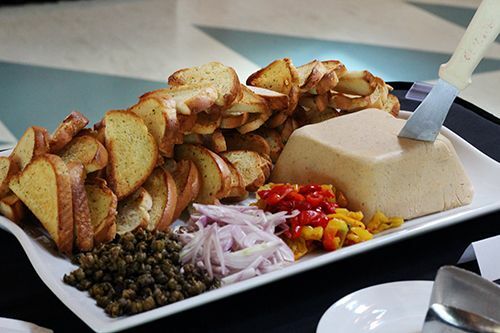 ), and the board was beautifully presented with grilled bread, walnuts, almonds, dried cranberries, and housemade condiments of pickled mustard seeds, caramelized onion marmalade, and corn pesto. Of the selection we chose, the duck mortadella, beef tenderloin and venison salami were my favourites. The mortadella is made with Brome Lake duck, and seasoned beautifully with a variety of herbs that really work well together. The tenderloin has a great texture and the flavour of the beef really comes through. The salami on the other hand isn't overly fatty and has great texture and flavour. I did find myself looking for a smokier chipotle flavour in the jerky, but I did appreciate the moist, chewy character to it. As for the elk sausage, it was quite lean and the game flavour was a little heavy for my liking. Although the charcuterie really shines, it's a bit of a shame that the cheese selection is a bit lacking. 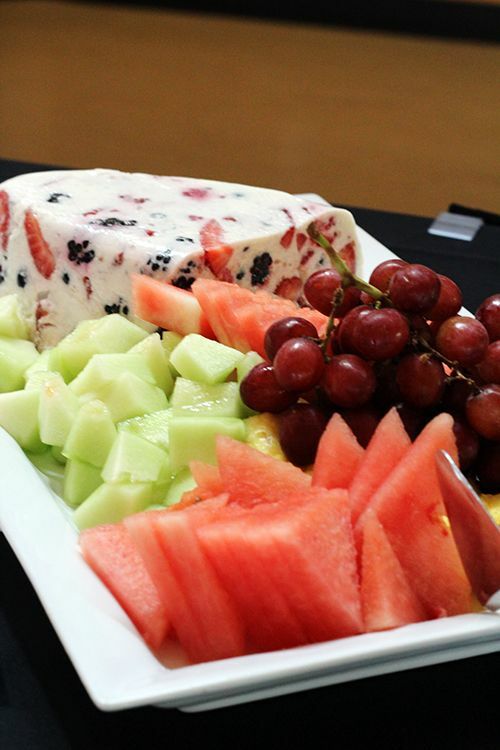 Most of the cheeses are fairly typical and sourced from large distributors. There is a housemade ricotta, and the gorgonzola and gouda are slightly altered by a smoking process done in house, but I would love to see more of Alberta's local cheeses and unique varieties on the menu. That being said, our smoked gouda had a deep smoky flavour we really enjoyed and it complimented the meats we ordered. We were pretty impressed with all the accompaniments to the board and we liked being able to customize it. It was also more filling than we had imagined! Following the charcuterie board we ordered a couple small plates that piqued our interest. Shishito peppers are one of my favourite snacks and they're pretty hard to find in Edmonton. I was excited to spot the Pan Seared Shishito Peppers ($14) on the menu, and they were cooked in a sweet soy reduction and topped with toasted sesame seeds. One of the neat things about shishitos is that you literally play spicy pepper roulette while you're eating them. About one in every ten peppers is spicy, so you never know what you'll be biting into! 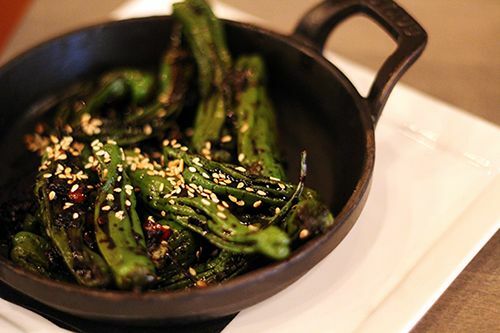 The dish at Cured gives you a substantial portion of peppers, and soy reduction is actually cooked with some red chili peppers, so there is an element of heat to the dish which takes away a bit of the fun. Unfortunately I found that the sauce was overly reduced, sticking heavily to the peppers and making them quite salty. With the sauce thinned out a bit, it would have been perfect. 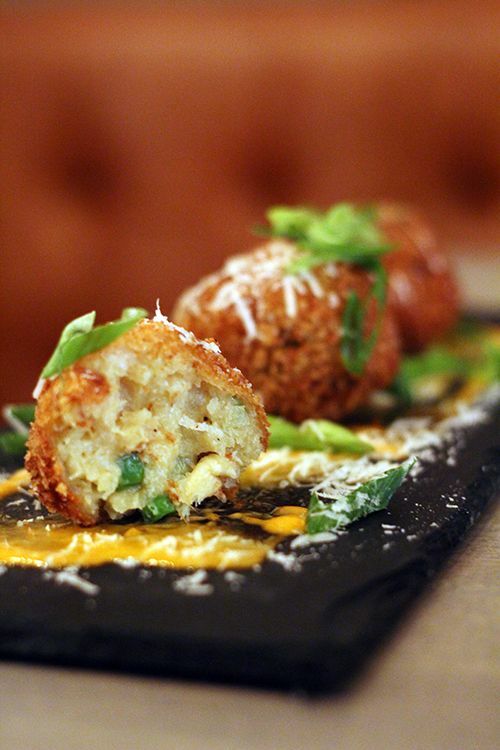 The Lobster Arancini ($16) was recommended to us, and I love a good ball of arancini! Cured makes theirs with saffron Arborio rice and snow peas and serves it with a spicy aioli and shaved grana padano. Biting through the crisp outer layer led to a heavy and dense ball of rice, peas and lobster. The arancini could use more seasoning, and in my opinion, a lot more cheese to make it gooey and addicting. There's lots of potential here, so with some tweaking, it could end up being pretty good arancini. 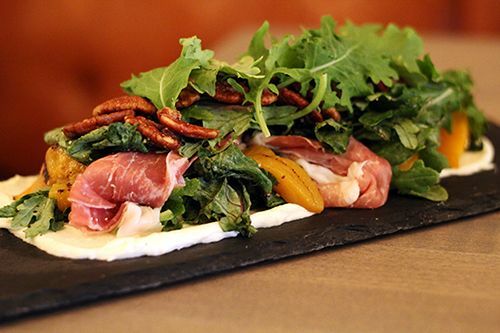 Our last savoury dish of the evening was the Flame Broiled Peach Salad ($13) with slivered prosciutto, housemade ricotta, candied walnuts, and mixed greens. Cheese and meat can be fairly heavy, so I was looking forward to a refreshing dish to lighten up the meal. The salad came out beautifully presented on a slate board, but unfortunately wasn't quite what I was expecting. As peaches are in season I was hoping to find fresh, juicy peaches in this salad, but found the canned variety instead, grilled and lacking moisture. The housemade ricotta was smooth and creamy, but lacking in flavour and moisture to lend to the dry greens. The prosciutto was abundant and delicious, but there was almost too much of it, making the salad saltier than expected. Given how dry the salad was, it would have benefitted with a dressing. It's another dish with lots of potential, but unfortunately lacked in execution. 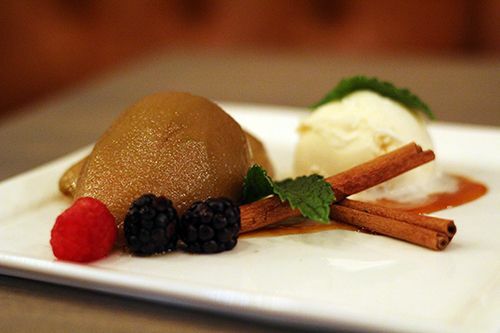 To finish off our night we ordered the Honey Poached Pear ($8) with ice wine gatrique and Pinocchio vanilla bean ice cream. The pear wasn't too sweet, but I did wish for it to be poached a bit softer and served warm. The ice cream was fragrant and creamy, balancing the acidity of the gastrique. 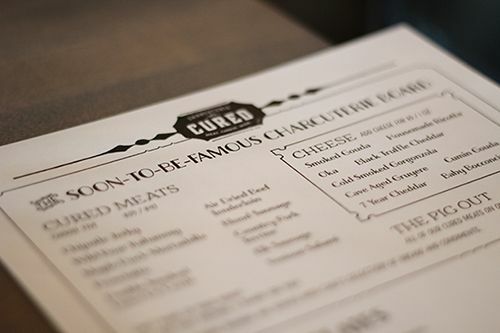 The charcuterie at Cured is clearly the star of the menu, as it should be. Although there were some hiccups in the small plates, the restaurant was very receptive to feedback, and hopefully they can iron out the kinks with a bit of time. 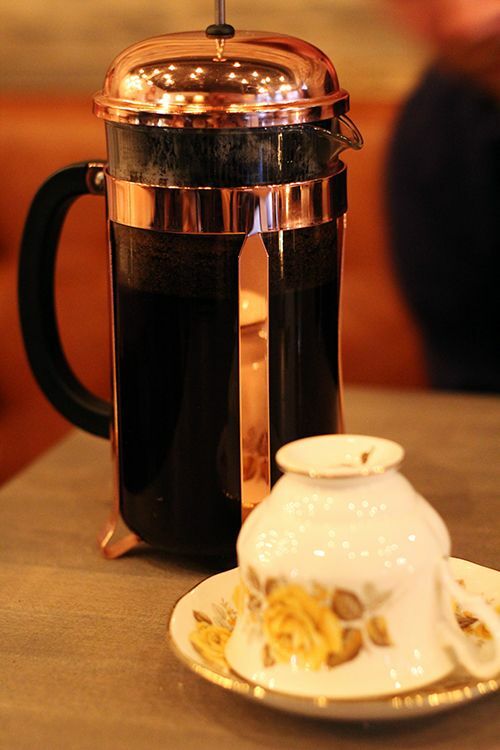 Service was great and the staff were knowledgeable when it came to their offerings. Cured is very much committed to supporting local producers and sustainability, and it would be great to see this reflected in the menu. I'm definitely looking forward to future visits to unwind with some meat and cheese. It will be interesting to see if the charcuterie grows to include more varieties, or if the restaurant adopts a seasonal menu to reflect availability of produce. 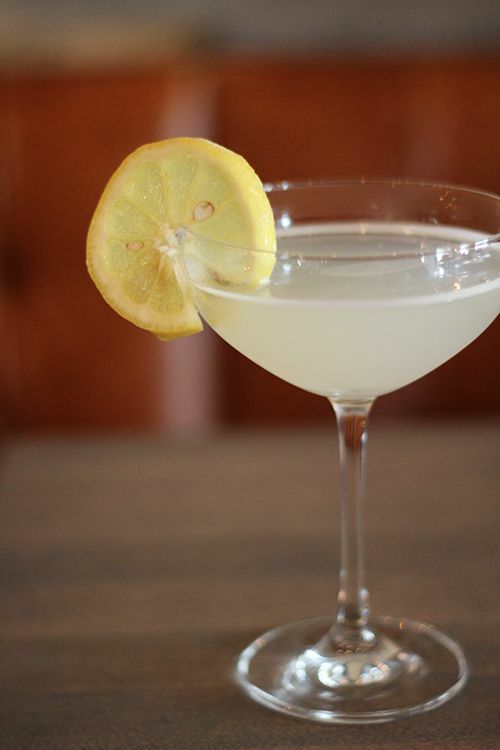 With some adjustments, Cured Wine Bar has the potential to be a go-to dining spot for many. Pricing for the charcuterie is reasonable and the atmosphere is great for both intimate dinners and group celebrations. Thanks for bringing housemade charcuterie to the south side - whatever occasion it may be, I'll be back soon for some more of that venison salami! *Disclosure: Cured Wine Bar invited me to attend their media opening. Views expressed in this post are solely mine. I was not expected to feature this restaurant on my blog, nor obligated to do so. This post is 100% my opinion, and as always, my priority is to you, the reader, to present an unbiased, thorough review. Back in my Junior High days the cool thing to have for lunch was pizza and a can of pop from the pizza store across the street. Now that I'm an adult, my pizzas are usually paired with wine or another fun drink. But now there's a new pizza place in town bringing back the old school pizza and pop combination. Just over a week ago Brittney LeBlanc, Gastropost Alberta Community Manager, invited a bunch of pizza-loving bloggers out for a pizza and pop party at Urbano. Urbano is brought to the city of Edmonton by Christian Mena and Lino Oliviera, the duo behind Sabor Restaurant and Bodega Tapas & Wine Bar. It makes sense that this pizza spot is just a couple steps down the Boardwalk Building from those two spots. 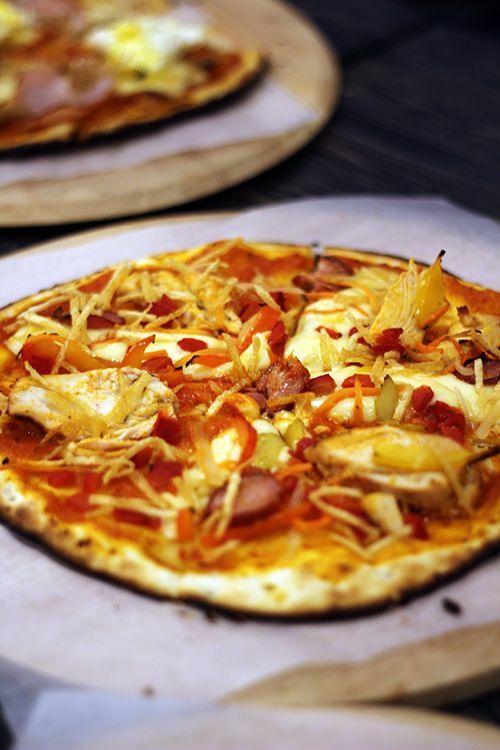 At Urbano you have the choice of ordering from one of the six signature pizzas or building your own from the seemingly endless list of available ingredients. This is awesome news because that means the pizzas can cater to dietary restrictions. So whether you're celiac, vegetarian or vegan, there's a savoury pie that can be built just for you. 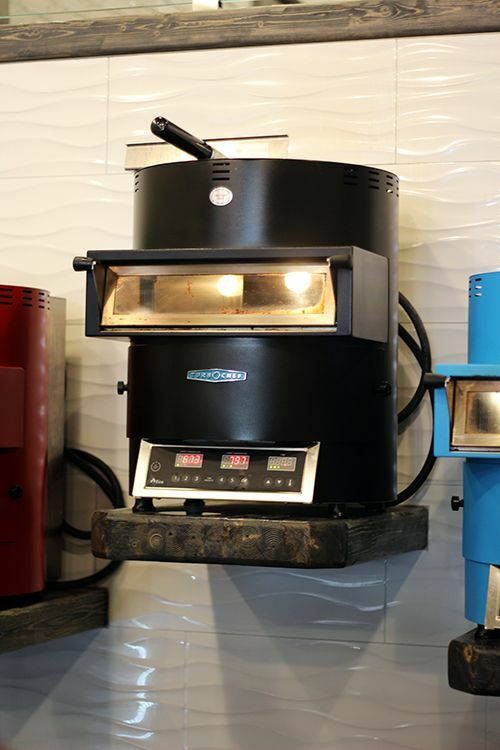 The space inside Urbano is small, but still large enough to hold four powerful Turbochef Fire ovens capable of cooking a pizza in 90 seconds flat. The colourful ovens remind me of Bender from Futurama - cute right? 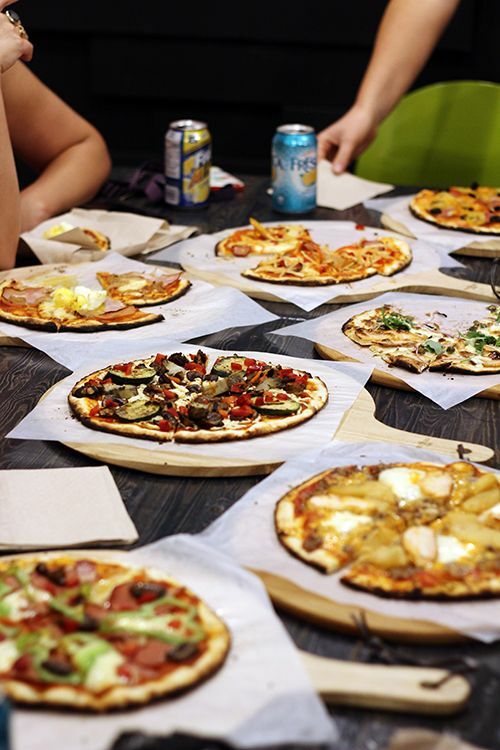 Of the four, one is dedicated to firing up gluten free pizzas, and all four are portable, meaning Urbano Pizza parties can happen around the city. As I have mentioned, Urbano is small and has space for about 15 people to enjoy pizzas on the second level seating area. There is additional seating available outside on the boardwalk, but based on the layout it seems to be best suited for grab & go pizzas. That really isn't a problem, given that you can honestly be in and out in under five minutes. 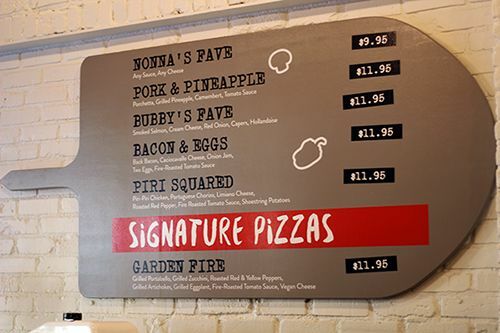 Each pizza is priced at $11.95 (with exception to Nonna's Fave for $9.95), even if you build your own. When building a pizza your way the sauces available are made in-house, and the toppings are unlimited and included in the price, with exception to premium toppings (shrimp, prosciutto, etc.) for $2 each. Our pizza party started off with Nonna's Fave (any sauce, any cheese), the good old combination of tomato sauce and cheese. From that point on it seemed like the pies were arriving one each minute, before thirteen of them sat at the table before us. I'm telling you, those ovens work hard and fast! Our night was full of a mix of signature pizzas and staff creations, and as much as I wish I could say I tried a slice of each pizza, my stomach isn't quite big enough to accommodate that yet! 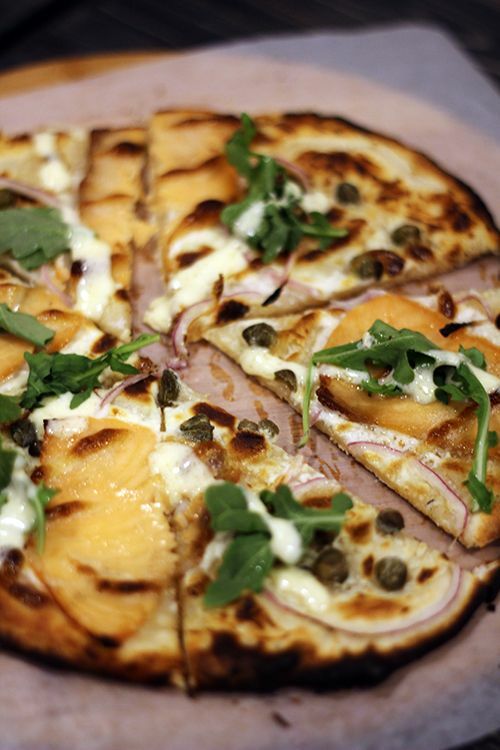 Bubby's Fave brings together smoked salmon, cream cheese, red onions, capers, and hollandaise. It's a classic flavour combination that I didn't think I would ever find on a pizza, but it works. I do think the pizza could work better with the salmon thrown on after cooking, but regardless it remains a tasty pizza. The Piri Squared pizza was the one I was most looking forward to, as it ties Urbano to Sabor Restaurant's popular Piri Piri Prawns. Piri-piri chicken, Portuguese chorizo, Limiano cheese, roasted red peppers, fire roasted tomato sauce, and shoestring potatoes were a nice flavour combination, although I found the chicken to be a bit dry. 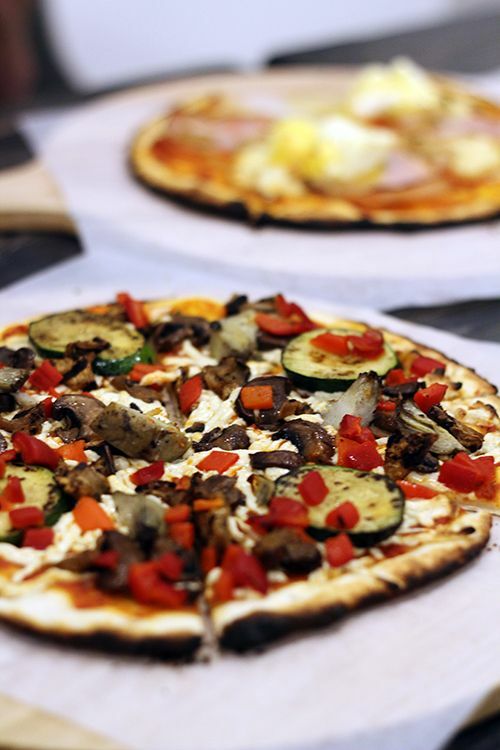 Urbano didn't forget the vegans, as the Garden Fire features fire roasted tomato sauce topped with grilled portobellos, zucchini, eggplant, artichokes, roasted red and yellow peppers and vegan cheese! 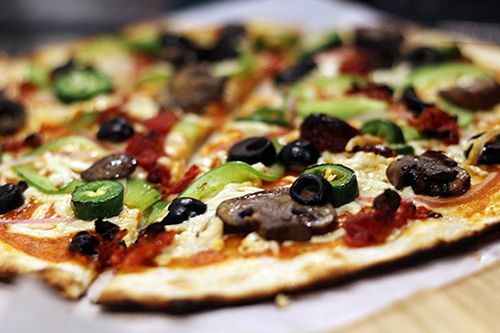 This pizza is loaded with vegetables and could easily fill you up like any other pizza on the menu. The Bacon and Eggs pizza offering is a fun play on breakfast for dinner (or lunch I suppose). 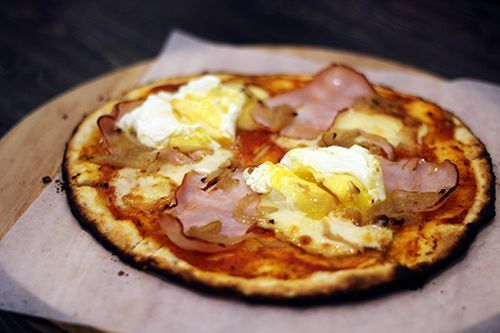 Back bacon, Caciocavallo cheese, onion jam, and two eggs sit on fire-roasted tomato sauce, and it really resembles breakfast on a pizza. It was nice to see that the eggs weren't extremely overcooked, and the components worked well together. So how are the pizzas overall? 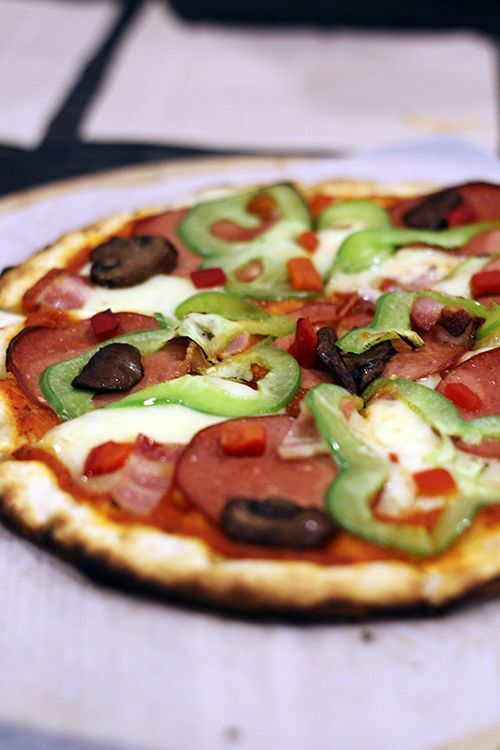 The thin crust recipe cooks evenly and the TurboChef ovens give the crust the char it needs. If there's a pet peeve of mine, it's crust that flops and drops all the toppings once it is lifted, but that isn't the case here. 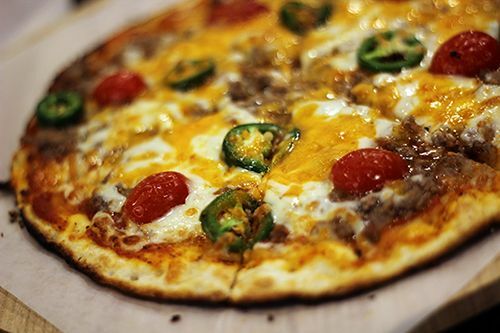 Urbano's dough cooks up similar to that of a flatbread, so it is evenly dense and crispy across the entire slice of pizza. 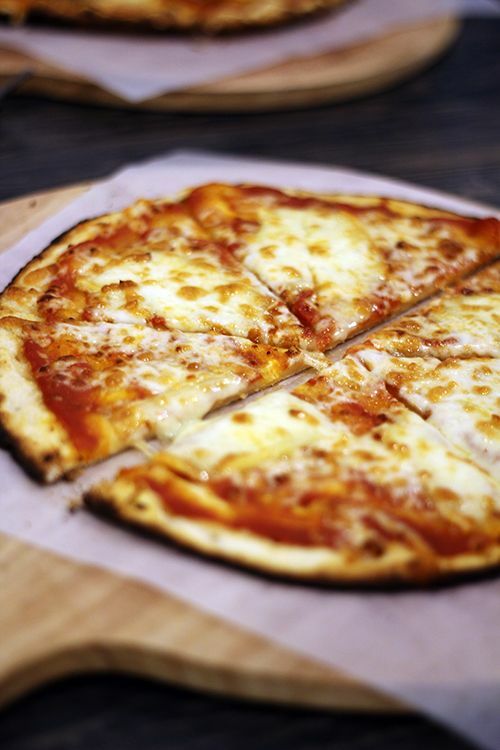 Everyone has a different preference for pizza, and I've come to love pizzas made with Neapolitan dough. Soft, risen crusts and a bubbly, blistered cornicione are my favourite, and although Urbano's crust isn't quite for me, I know others would disagree. It's nice to see that another quick food option has popped up downtown, and it will definitely become a go-to for many that work and live in the heart of the city. 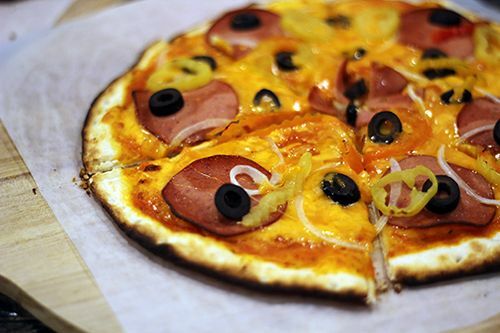 Service is quick, you can fully customize a pizza to your liking with high quality, fresh ingredients. And most importantly, it's very affordable at $11.95. 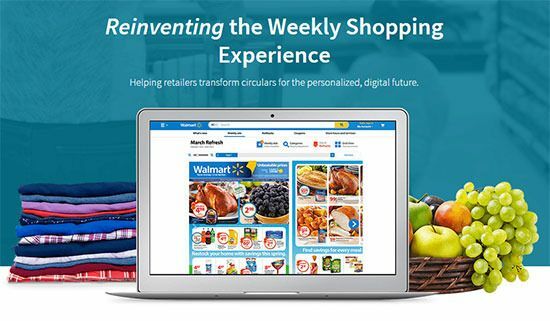 Don't have time to sit and eat? 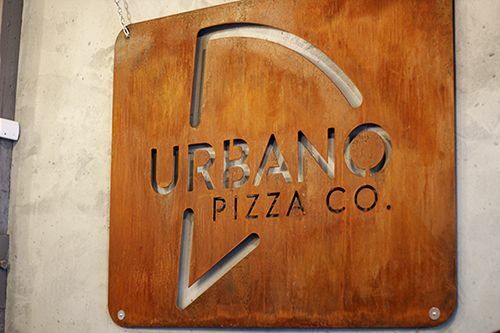 Urbano also offers pizzas that you can take home and bake yourself. And here's a lunch time tip for you: everyday there is a different pizza feature created by the staff. If you order the feature pizza, a can of pop is also included for $11.95, so you can have your own pizza and pop party! 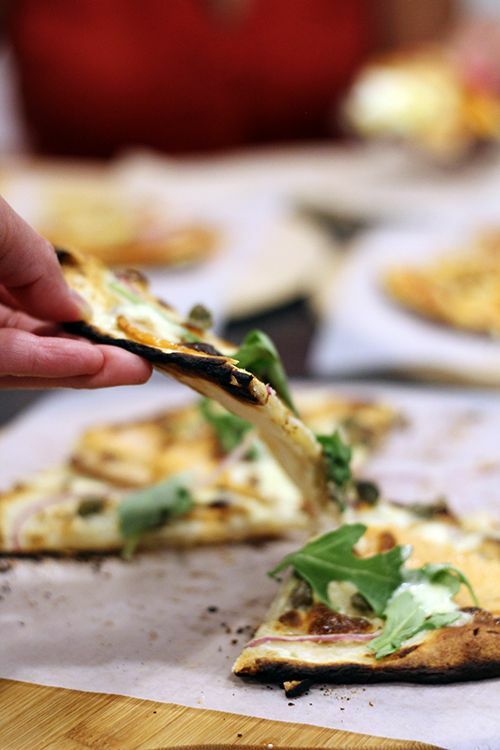 Big thanks to Gastropost & Urbano Pizza Co. for hosting a fun pizza and pop party - I think I need to have them more often. 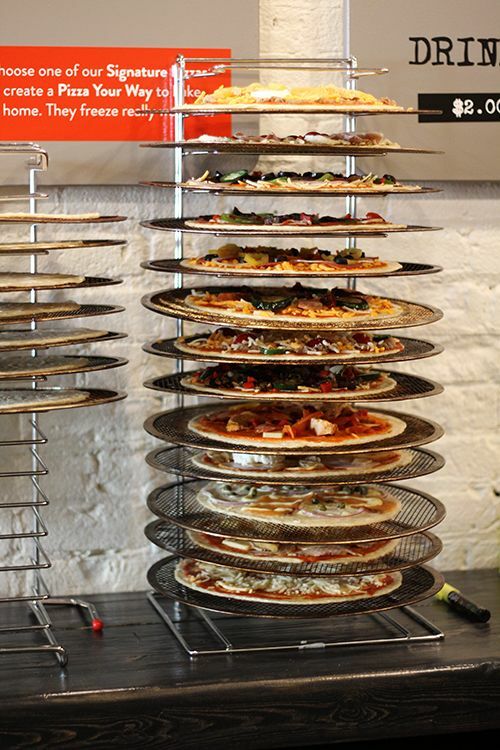 *Disclosure: Gastropost invited me to attend the pizza party at Urbano Pizza Co.. Views expressed in this post are solely mine. I was not expected to feature this event on my blog, nor obligated to do so. This post is 100% my opinion, and as always, my priority is to you, the reader, to present an unbiased, thorough review. Back in my elementary school days the annual field trip to Snow Valley was always the field trip I looked forward to most. Spending a day on the slopes and having slushies and french fries at lunch was the dream. These days, even though I drive by the hill on my daily commute, it's pretty rare to find me at Snow Valley in the winter time. Beyond the winter season, I had no idea that The Lodge was open throughout the spring and summer. Snow Valley is located in the Rainbow Valley surrounded by the lush foliage and pine trees of the Whitemud Ravine. It is a beautiful place to host functions and spend time in the summer - something that had never crossed my mind in the past. The culinary services at The Lodge recently welcomed Chef Leo, a Red Seal chef formerly of Sorrentino's, to lead the culinary team. I had the opportunity to attend a lunch at the lodge to try their food and experience their catering capabilities first-hand. Walking up to the second floor, the space before my eyes was entirely different from that of my childhood memories. With the area cleared and tables set the space was transformed into a room with rustic charm that could easily host banquets and corporate functions. Lunch that day was served buffet style, featuring a salad bar, hot food station, and of course dessert. 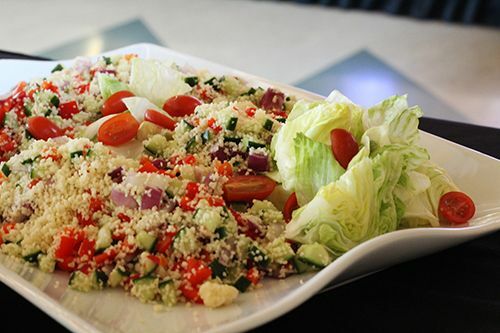 Roasted romaine salad, a couscous salad, and a platter of chicken rillette with a variety of toppings were available in the cold salad section. It was nice variety to start off the meal and there was something for everyone. From the hot service station, I was quite impressed with the teriyaki burger dressed with a slice of sweet pineapple, and the salmon cake with a honey reduction was delicious. From plated dinners to full buffet service, The Lodge at Snow Valley is capable of hosting up to 200 people in a single event. 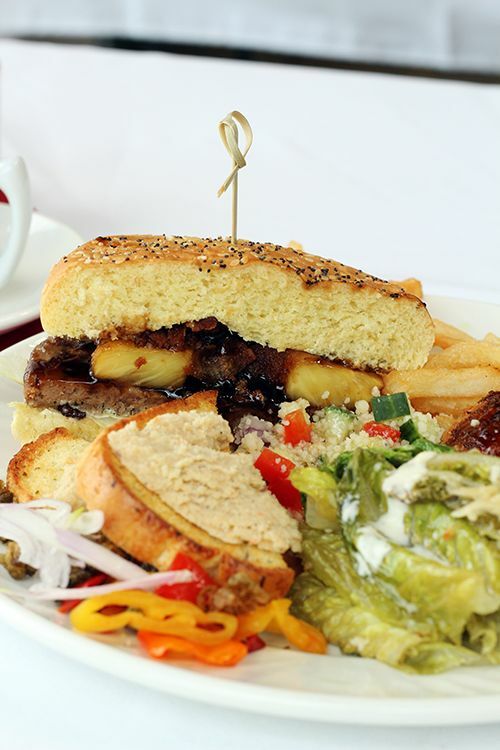 The Lodge is available for booking throughout the spring and summer season, and their menu doesn't disappoint. 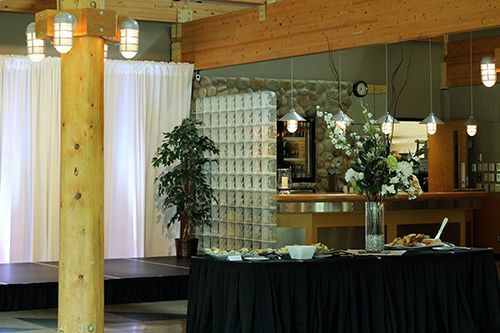 With it's unique location and full catering abilities, The Lodge is a great space to host anything from meetings, to weddings, to big corporate events, so definitely consider them the next time you're looking for a location to host an event! *Disclosure: The Lodge at Snow Valley invited me to attend a media tasting. Views expressed in this post are solely mine. I was not expected to feature this lunch on my blog, nor obligated to do so. This post is 100% my opinion, and as always, my priority is to you, the reader, to present an unbiased, thorough review.